Emporia Public Schools is announcing the hire of Kelly Bolin as the district’s Assistant Superintendent of Human Resources effective July 1. 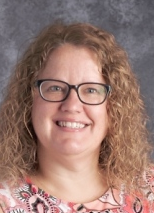 Her appointment was approved by the Emporia Board of Education at a special meeting June 8 pending a release from her current contract at USD 443 Dodge City. “My family and I are thrilled to join the city and school district. The family atmosphere in USD 253 is unmatched. The quality facilities and outstanding faculty makes sending our four- and five-year-old boys to USD 253 a perfect fit for us. We are honored to join the USD 253 family,” Bolin said. Bolin has been serving as principal at Beeson Elementary School in Dodge City since 2012. She began her work at USD 443 in 2008 as principal at Central Elementary School. During her time in Dodge City, she has also been a national scoring leader for the Gates Foundation’s Measures of Effective Teaching program and a national building leader examination scorer for the Educational Testing Center. In addition, she has served as the USD 443 guided reading implementation co-chair and as a mentor for new and aspiring principals. Prior to her time in Dodge City, Bolin worked in Columbus, Ohio. She was a program coordinator and curriculum creator for the Center of Science and Industry Museum for nine years. At the same time, she worked as an elementary and special education teacher with the South-Western City School District, currently the state’s sixth-largest education district, for five years. She also served as the Science and Mathematics Network’s assistant director and professional development coordinator for six years before leading the South-Western City School District’s Prairie Lincoln Elementary from 2000-2008. While in Ohio, Bolin was a school site evaluator for the U.S. Department of Education’s professional development award program and a member of the Department of Education’s principal research forum. Bolin received her bachelor’s degree in education from Capital University in Columbus, Ohio in 1989, and her master’s degree in education administration from The Ohio State University in 1998. As assistant superintendent, Bolin will be responsible for all matters relating to employees, including recruitment and retention, legal and regulatory matters, contracts, work agreements and benefits. She will also be responsible for teacher licensure and student/staff handbooks and policies as well as a member of the USD 253 District Emergency Management Team. Bolin replaces Dr. Andy Koenigs, who has served USD 253 as associate superintendent for human resources for the past five years. Koenigs has taken a similar position with the Derby School District.